It can even “speed up” the aging process. 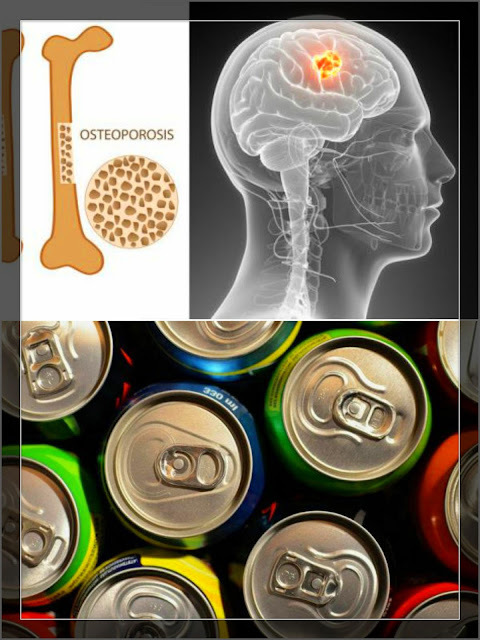 Too much phosphoric acid together with calcium consumption can cause bone loss. Sodas also contain caffeine which can interfere with calcium absorption. Drinking non-diet soda can easily lead to dramatic increases in fat buildup around the skeletal muscles and the liver. They both contribute to diabetes and insulin resistance. The research found that those people who regularly drink soda every day for 6 months has increased level in liver, triglyceride blood fat, skeletal fat, and other organ fat. Not only soda leads to weight gain and fat gain, it causes fat to appear and build up in some of the worst places! Both have been found to cause cancer in animals. Only 16 micrograms daily of 4-methylimidazole is enough to pose a cancer threat. Here’s the scary part: most popular brown colas, diet or regular, contain 200 micrograms per 20 OZ bottle. Dentists have one expression : Mountain Dew Mouth. That’s tooth decay when they see in children and adults who are drinking too much soda. People who are drinking too much soda are winding up with a mouth full of decaying teeth. Insulin Resistance: Consuming too much sugar can also cause the cells to become resistant to the effects of insulin. When this happens, the pancreas must produce even more insulin to remove the glucose from the bloodstream, increasing insulin levels and leading to insulin resistance. Type 2 Diabetes: Drinking only one can of this beverage on daily basis is consistently linked to an increased risk of developing Type 2 Imagine if every American added to their daily diet one can of soda. Around 3.5 million people might actually gain Type 2 diabetes! Heart Disease: Sugar-sweetened drinks may be the main reason for cardiovascular disease. Many studies have found strong connection between heart disease risk and sugar intake. Only one sugary drink per day can cause a 20% higher risk of having a heart attack or even dying from a heart attack. Dementia: Researchers and scientists have found a connection between increased risk for dementia and increased blood sugar. Large doses of sugary drinks can impair decision-making capabilities and memory. It can potentially lead to conditions such as Alzheimer’s disease.